Three local TV channels have been allowed to reduce their local programme commitments. 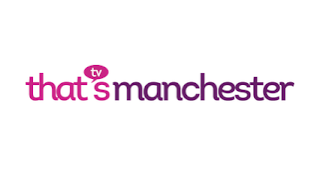 Mustard TV, That's Manchester and That's Lancashire have been told by Ofcom's Broadcast Licensing Committee that they can reduce and simplify their programme commitments that formed part of their original licence award. Both That's Manchester and That's Lancashire had specific programme commitments for local shows during breakfast, lunchtime and in the evening, which have now been simplified into a weekly quota, which will remain the same through the first three years of service. Norwich's Mustard TV will be able to allocate less time to current affairs programmes and be able to repeat news programmes. Its commitment to include at least 225 minutes of local magazine programming per week has been cut to 170 minutes a week. In making its decision, Ofcom's Broadcast Licensing Committee said it was aware that the changes would result in a "minor reduction" in the overall number of hours devoted to local news and current affairs but that the changes would "not substantially alter the overall character of these services." Ofcom has also given Hello York, York's forthcoming TV channel an extension to its must-launch-by date. It now needs to be on air by July 2016. The extension was granted after Ofcom agreed to a change affecting the transmitter site of the local TV multiplex due to cover the area. Seems that all of these requests for local TV stations to slacken their local programming commitments are granted. Makes a mockery of the tender process if companies bid with cracking levels of expensive local coverage knowing that they can have the quota reduced within a few months of start-up.